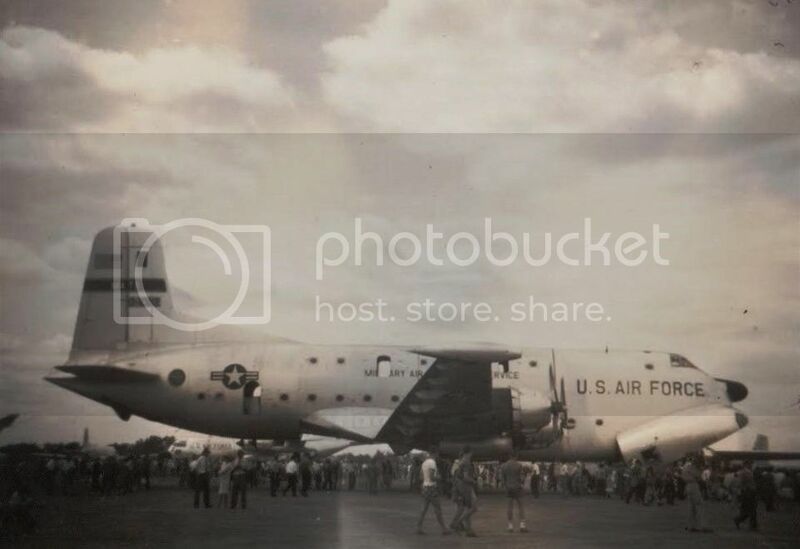 Max has found a couple more black & whites from the 1958 Ohakea Air Show. Click this to enlarge and you can see just how big the Globemaster was, compared to the people on the ground. Almost 15m to the top of the tail! 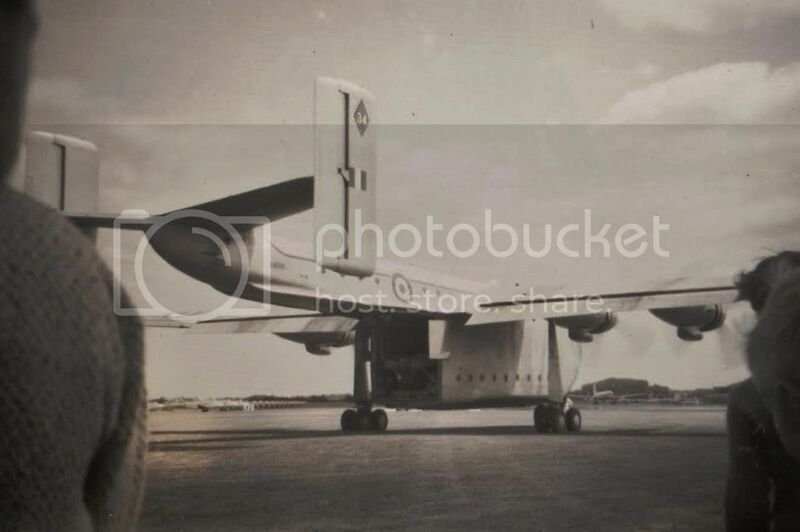 Rear view of the Blackburn Beverley. The Beverley was a British built medium-range Heavy Freight or Troop Transport. 94 troops could be carried in that load compartment which was over 12m long and 3m high and wide. With its gear hanging out in the breeze, the four Bristol Centaurus radials, each with 4 blade props, could only manage to drag it along at 240mph compared with the Globemaster which was 100mph faster. Blackburn was swallowed up by the Hawker Siddeley and Bristol Siddeley organizations and the name Blackburn had disappeared by the early 60s.